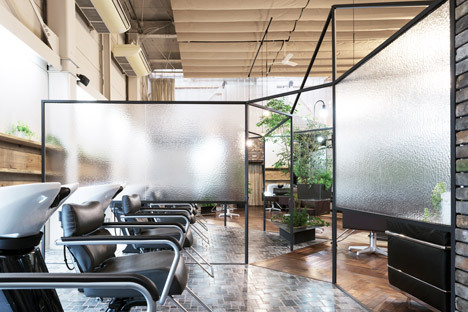 A matrix of disorientating translucent and mirrored partitions frame the individual booths of this hairdressing salon in Japan by Takehiko Nez Architects . 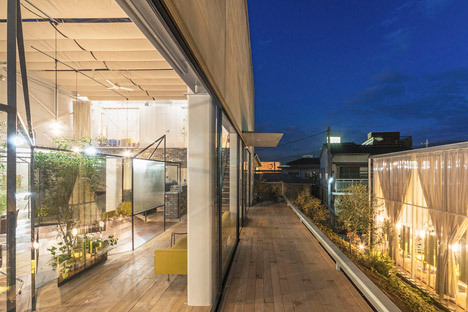 Japanese architect Takehiko Nez was asked to revisit the interior of Vision Atelier, a salon in a suburban spot of Yamanashi Prefecture. Back in 2003, his studio converted the area from a jewellery shop, and he also extended it in 2010. The most recent renovation involved putting in a black steel framework, creating a framework for a series of textured plastic and mirrored partitions. These separate the area into areas for hair washing, cutting and waiting, affording consumers a degree of privacy. 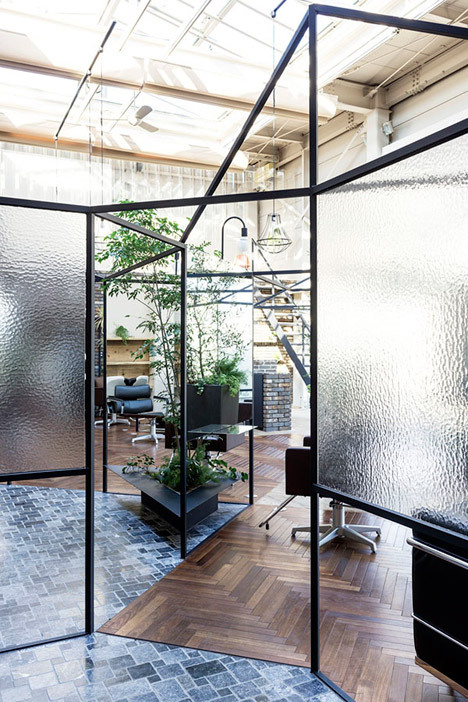 “The polycarbonate separates the upper floor room to control the air conditioning and the mirror is for hairdressing and producing up,” explained architect Takehiko Nez. “But also I desired to use individuals components to expand the limited space and style open-air scenery, like a fantasy,” he told Dezeen. 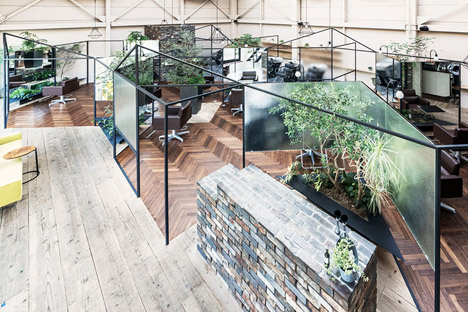 The design and style is meant to mimic the feeling of becoming outdoors, offering customers a much more relaxed ambience that harks back to times when haircutting was done on the porches of private houses, or by roadside hairdressers. 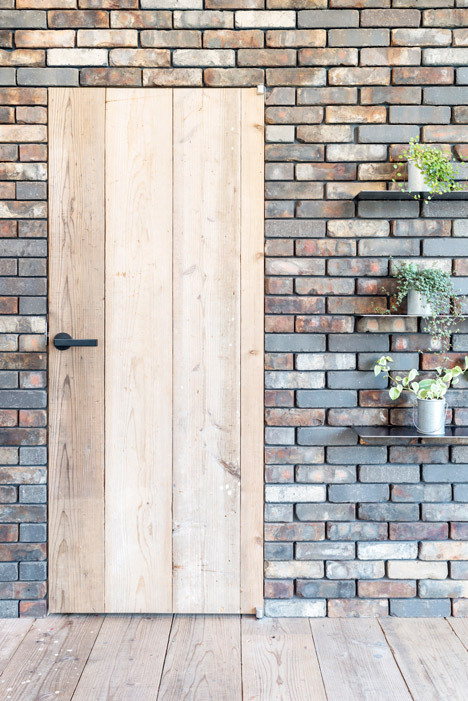 “Rather than just just designing objects, it has grow to be desirable to integrate into the style newly created relations in response to the current web site conditions,” explained Nez. 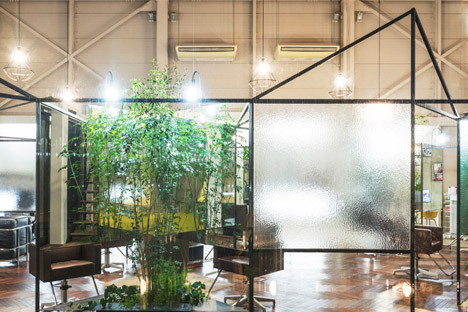 Mirror panels affixed to the back of a series of V-shaped polycarbonate screens reflect the architecture and patches of planting, producing a disorientating result. Person lamps loop over the prime of every single mirror, although wire-framed light fittings hang from the substantial ceiling. Leather chairs supply seating within the remedy booths. The screens and supporting framework are much lower than the ceilings in the developing, helping to give the double-height space a much more human scale. 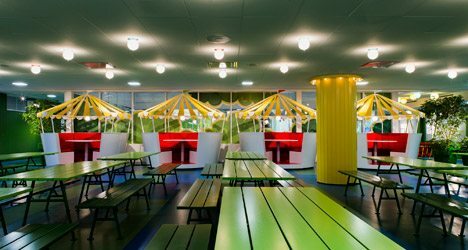 Above the partitions, the ceiling and walls have an unfinished visual appeal, with structural trusses and air-conditioning units left exposed. 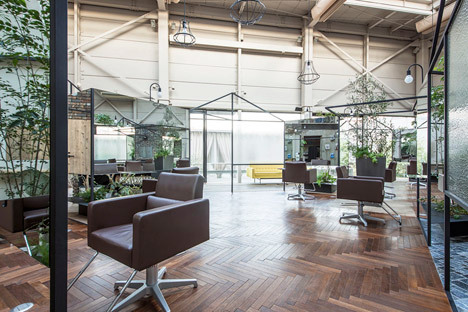 Zigzag-patterned parquet covers the centre of the salon floor, whilst regions of planting are tiled. Pale timber floorboards were used to differentiate a waiting location by the entrance, which is accessed by way of a narrow decked walkway that runs along the best of a bank. 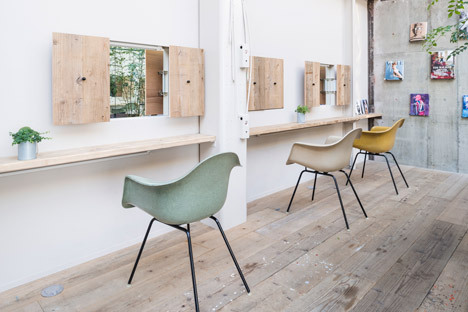 In the waiting location, pastel-coloured chairs are positioned along a pale timber bench in front of a series of little shuttered windows exactly where glass is replaced with mirror. Magazines are displayed on plinths on an exposed-concrete wall to one side of this area. Photography is by Tomohiro Saruyama.